Ashley Franks lives with her son, Cashton, at the Union Gospel Mission in Fort Worth. When Ashley Franks got pregnant with her son, her grandfather kicked her out of the house. She didn’t know where to go. So she lived out of her car throughout the pregnancy. “Daily life [when living in the car] is trying to find a place to take a shower, make sure that your hygiene is kept up, make sure that your vehicle is running properly, because that’s all you have,” Franks says. Years before, Franks experienced the kind of loss every parent dreads, twice: A daughter drowned, and then her son died from cancer. Now, Franks and her youngest son, 14-month-old Cashton, are living in a homeless shelter. She has another daughter, who lives with her grandmother. Franks says she is eager to find permanent housing with room for both of her children, so she can focus on being a good mom to her kids. The trauma of losing her children still affects her life, Franks says. She has some memory problems. When she was pregnant and living out of her car, she said navigating the services available was confusing and overwhelming. At the hospital where her she did checkups, she was eventually connected with the shelter where she lives now, which offers a range of services. Study: 14,981 children in Tarrant County experience homelessness, with half of them under the age of six. Stories of experiencing trauma are extremely common among women with kids who experience homelessness, according to Carol Klocek, the CEO of the Center for Transforming Lives in Fort Worth. It can take many forms, most commonly sexual assault or domestic violence. She says more than 90 percent of women who become homeless have a history of trauma. The Center for Transforming Lives recently published a study on childhood homelessness. It estimates that 14,981 children in Tarrant County experience homelessness, with half of them under the age of six. For the most part, the children who are homeless are living with one or both of their parents, so childhood homelessness is actually family homelessness. Some families with young kids who don’t have a stable place to sleep at night live in shelters or on the street, but most families never do. Instead, they live out of their cars, in motels, or cram into apartments and houses with family and friends. While trauma can lead parents to homelessness, homelessness itself makes children more vulnerable to experience trauma. 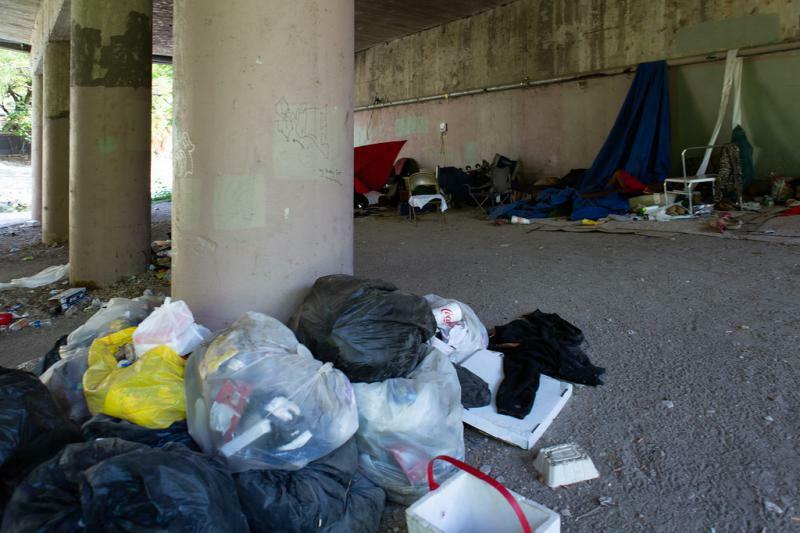 Trauma among the homeless is prevalent. Untreated, it can cause people to experience more fearfulness and have trouble with problem-solving, critical thinking and emotional regulation. And kids are more likely to be exposed to adverse experiences when a parent is desperate to find some place for the family to stay. Some mothers will stay with abusive partners if it means keeping a roof over their child’s head. All of that impacts a kid’s social and emotional development, their education, and can have lifelong consequences, Klocek says. “These are the kids who are much more likely to become homeless as adults, much more likely to enter the prison system, much more likely to experience health and mental health problems over time because of experiencing early childhood homelessness,” Klocek says. Children, especially young children, shouldn’t be homeless, Klocek says. But considering the long-term societal costs of childhood homelessness, helping families regain enough financial footing to pull themselves out of homelessness is likely the more prudent fiscal move, too, she argues. Given the prevalence of trauma among the homeless, Klocek says service providers need to be trained to work with people who’ve experienced trauma. Untreated, trauma can cause people to experience more fearfulness and have trouble with problem-solving and critical thinking as well as emotional regulation. "I sleep in a comfortable bed at night and my son sleeps in a comfortable crib, and I feel safe. I don't feel like either one of us are in harm's way." These days, Ashley Franks and 14-month-old Cashton are getting the services they need. Home is now the Union Gospel Mission in Fort Worth, which has 26 rooms for women with children. The pair live in a simple room with bright white cinder-block walls and everything they need: bed, crib, bathroom and all their belongings tidily tucked away. Franks keeps a busy schedule working in the soup kitchen, going to job-training and counseling and looking for work. In the evening, she and Cashton play and work on learning to walk. Even though she’s comfortable here, she’s ready to move on. They’ve been here about a year, and she’s waiting to be approved for a subsidized housing voucher so she and Cashton can get their own place with space for her daughter, too. Sherizon Scott says her life is on the right track, but it’s been a struggle to get there. For years, Scott and her husband teetered on the edge of financial instability. They could take care of their growing family’s needs on their own, but only so long as everything went right, she says. The number of people without a home continues to rise in Dallas and Collin counties. That includes veterans and people sleeping on the street, according findings from the 2019 homeless count. A pilot program aims to clean up homeless camps in Austin, while providing resources to people experiencing homelessness here. The initiative from the city's Watershed Protection Department (WPD) will include regular inspections and cleanups at nine designated “hot spot” camps to address environmental and safety concerns. Included are areas along East Riverside Drive, Wickersham Lane, Waller Creek at Eighth Street, Williamson Creek and Oak Springs Drive. A choir for homeless men and women in Dallas has inspired street choirs across the country to form and collaborate. Its founder has formed a multi-city alliance and dreams of eventually creating a national street choir.